MOVING farm machinery on roads, without a permit, is a step closer to reality with the National Heavy Vehicle Regulator (NHVR) now seeking agreement from local councils on a new National Class 1 Agricultural Vehicle and Combination Notice. The Notice would remove the many different rules about moving agriculture vehicles that currently exist across regions and states and significantly reduce red tape for growers. 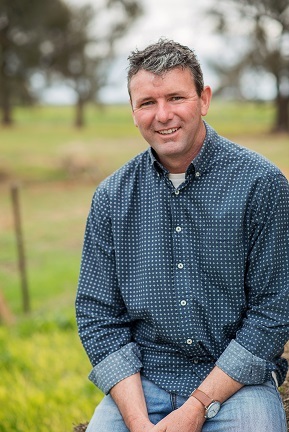 GrainGrowers chairman and Victorian farmer, Brett Hosking, said the move to modernise the standards was welcomed. “Being able to move seeding, spraying and harvesting equipment on local roads is essential for us to be able to farm efficiently. We know that such movements can be done safely as demonstrated by a recent report by James Cook University showing that only a very small percent of total incidents on rural roads involve agricultural vehicles and equipment,” Mr Hosking said. GrainGrowers, alongside other farming groups, have been working with the National Heavy Vehicle Regulator (NHVR) for over two years to achieve a notice that is practical for farmers. “It’s great to see the Deputy Prime Minister and Minister for Infrastructure, Transport and Regional Development Michael McCormack and Assistant Minister for Roads and Transport Scott Buchholz say it is time to bring the standards that date back almost 40 years in line with the modern and dynamic practices of today’s farmers. We look forward to them ensuring this notice is gazetted in early April 2019,” Mr Hosking said. Having secured support from the state road managers, the NHVR is now consulting with local road managers from 8 March – 5 April.